Sell horse meat as beefsteak? There is an old Chinese saying "挂羊头卖狗肉", which means "hang out sheep's head but sell dog's meat" in English. Recently, some EU companies have sold horse meat as pure beef. Well, I heard that some hospitals and school cafeterias in the UK were even involved in this scandal. The customers believe that what they eat should be beef. However, it turns out that they just eat horse meat. How disappointed they are! Nothing wrong with horse meat, but it is not beef. Don't lie about what you sell me, that's all. I just thought that it just happened in China. It shouldn't have happened in European countries. 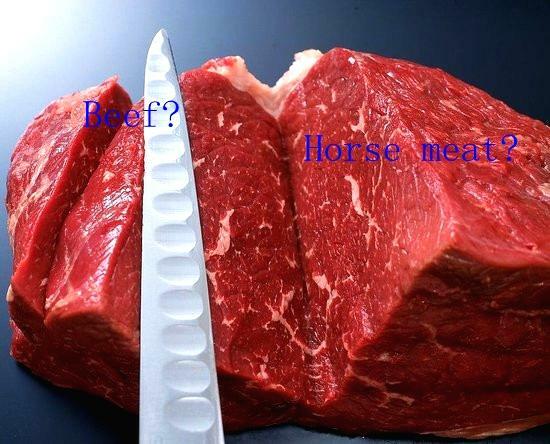 Post a Reply to: Sell horse meat as beefsteak?